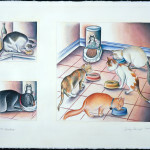 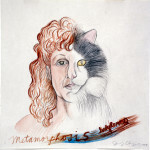 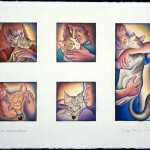 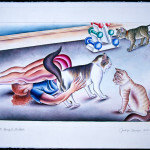 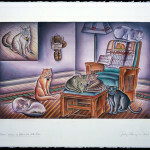 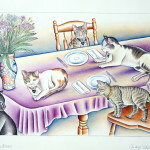 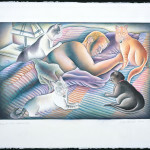 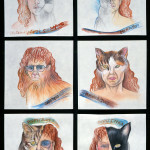 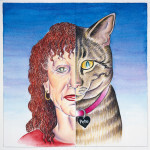 In 1999, Judy Chicago – an ardent cat lover – undertook a focused study about the history of the feline species. 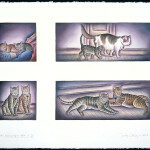 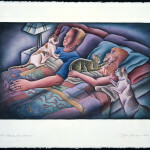 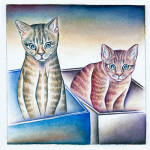 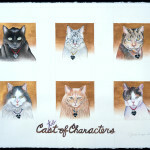 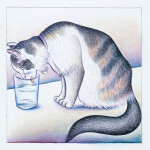 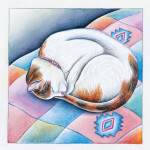 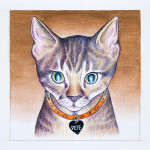 The resulting watercolor series took many years to execute, in part because the images had to be carefully constructed; cats are notoriously difficult to draw because they’re only still when they are asleep. 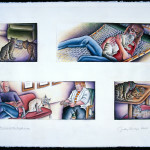 The series – which was collected in a book published in 2005 – is based upon a traditional book of hours (medieval devotional books). 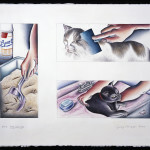 Chicago’s watercolors are also ‘devotional’ but they express her devotion to the family of cats with whom she and her husband reside. 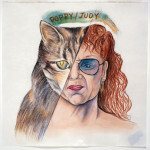 Delightful yet poignant, these images reveal the individuality of the many felines with whom the couple have lived, demonstrating Judy Chicago’s concern for all living creatures, human and non-human alike. 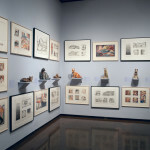 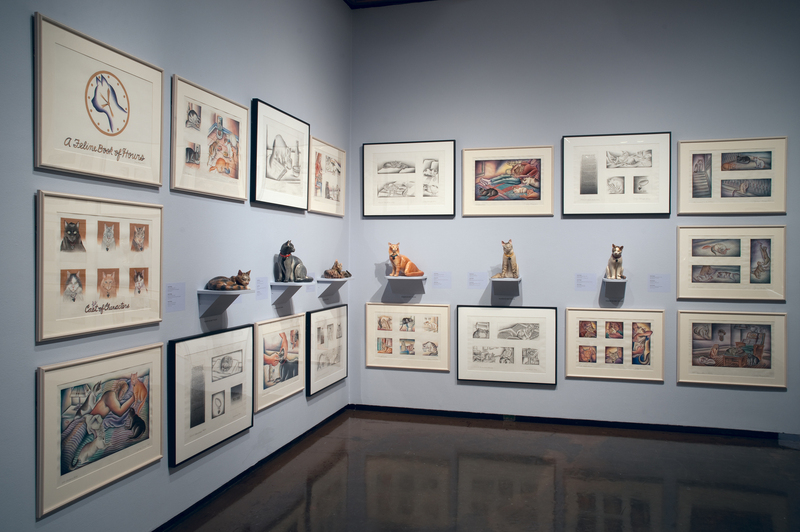 Installation view of Kitty City works in the exhibition Local Color: Judy Chicago in New Mexico 1984-2014 at the New Mexico Museum of Art in Santa Fe, New Mexico, 2014.